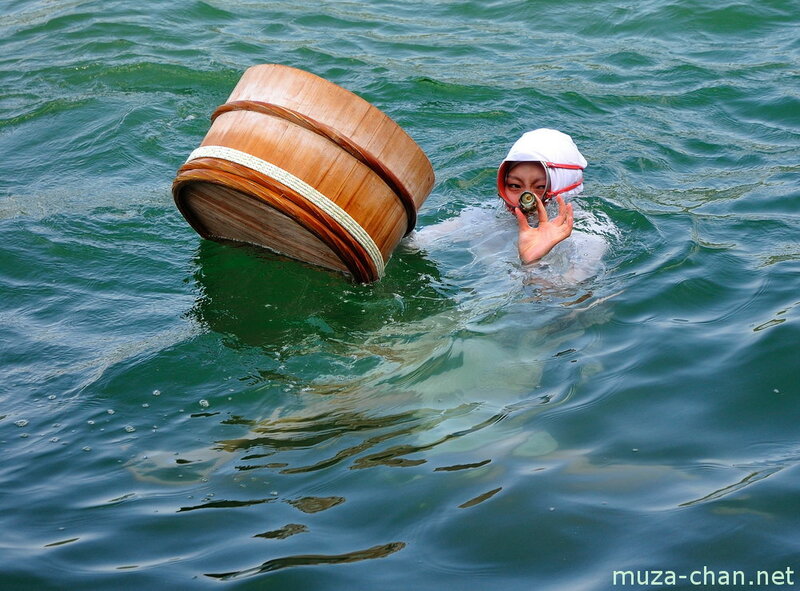 Ama are female pearl divers, a very specialized skill with a history of thousands of years. They dive deep under the sea without scuba gear or air tanks, to collect oysters and other seafood. 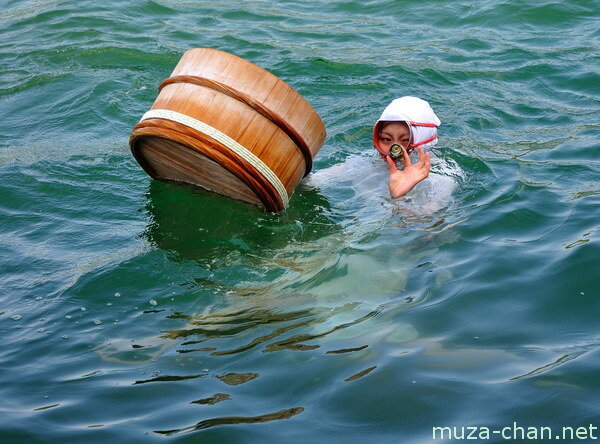 Of course, it is hard to see them working, but at the Mikimoto Pearl island, in the Bay of Toba, they held demonstrations for tourists, using the traditional white garments.